(BGF) – Mr. Michael Dukakis started BGF Distinguished Lecture Series on December 12 on the occasion of BGF’s first year anniversary. 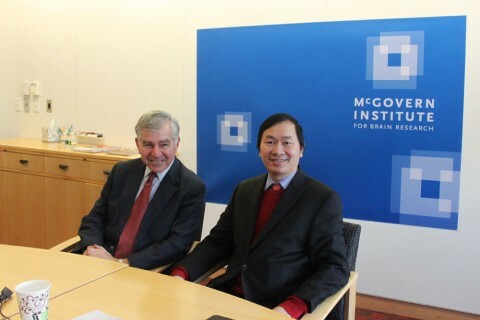 In this lecture, took place at the McGovern Institute for Brain Research at MIT, he placed emphasis on world peace and how international community can help solve global existing issues to make the world better. Tuan Nguyen: Welcome. I’m Tuan Nguyen, editor-in-chief of Boston Global Forum. Today December 12th is the first anniversary of the Boston Global Forum. We’re delighted you have joined and sent congratulations to the Boston Global Forum and to Chairman Michael Dukakis to Boston Global Forum Distinguished Lecture today. The speaker of the Distinguished Lecture will be Governor Michael Dukakis, the Chairman of Boston Global Forum. Mike is a three-term governor of Massachusetts, was the Democratic Party’s 1988 presidential nominee, and is currently Distinguished Professor of Harvard University, and on the faculties of UCLA and Northeastern University. 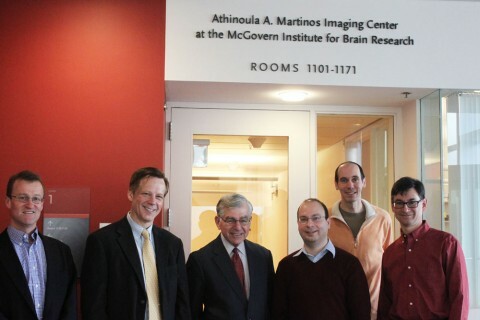 He also heads the Dukakis Center, located at Northeastern University. I present to you Governor Michael Dukakis. Gov. Dukakis: Thank you, Tuan and thank you very, very much. It is a pleasure to have an opportunity to share some thoughts and ideas with you about the Boston Global Forum: what it is, what we hope it can achieve, and to invite so many of you through the remarkable medium of information technology to work with us as we build the Forum and try as best we can to make it a major force for a better and a more peaceful world. But let me tell you a little about it. Actually, it is Tuan who deserves most of the credit for creating this. He’s a remarkable person and one of founders of the internet in Vietnam, spends a lot of his time now in Boston, fellow at the Shorenstein Center at Harvard, and somebody who I met when we were on the Board of Directors together. And he began talking about his hopes and dreams for what he called and what is now the Boston Global Forum. So what is this idea that he developed and that I Chair and that increasingly is involving many, many of you, not only in the United States but across the globe. Well, we have enormous intellectual resources and I think many of you know here in Boston, great universities, great thinkers, people that have a tremendous amount of expertise in a wide variety of fields. In fact, today we’re at MIT in a very special center that does research into brain technology. And this is just one of dozens and dozens of such centers here in the Boston area. We have many people, obviously, who are deeply and actively involved in international relations and international issues, so we’ve got a wealth of resources here and obviously we want to tap into those resources. At the same time, we want to involve as many of you as possible, both here in the U.S. and across the globe, in working with us on important issues of great international significance. So our hope is that starting with a core group here in the Boston area led by Tuan, and Tom Patterson at the Shorenstein Center at the Kennedy School, John Quelch, who’s an extremely able and experienced professor at the Harvard Business School, and others we can begin to focus attention. And we want to do so by picking an important issue of international significance, one per year, and focusing intensively on that issue. We’ve just begun that and I’m going to explain to you in a minute just why we picked the issue that we have and what we hope we can do about it. Now why are we doing this? Well, we’re doing it, in my opinion, against a backdrop of unprecedented international communication in a way that has never existed on this planet, largely thanks to information technology, a world which is getting smaller and smaller in the best sense in which we have the means now to work together, communicate together, reason together, negotiate together, and hopefully build a better and a more peaceful world. And even while conflict continues in many parts of the world, it is increasingly taking place within and not between countries. International institutions, the United Nations on down, are playing a greater and greater and a more important and a more effective role. Unilateral or even limited multilateral interventionism in the internal affairs of a country outside of the United Nations framework is not only not working, and we’ve seen this now repeatedly in the case of the U.S. intervention for example in Iraq and in many other places where countries have sought to intervene unsuccessfully, and it’s increasingly being discredited as a means for settling disputes between and among countries or even within a country, in some cases, where conditions are so bad that international norms are being violated and the international community believes that international action is warranted. While situations like the Iranian nuclear problem tend to get the most attention, action on an international scale has been having profound effects on conditions around the world. Just take international public health. Way back in my youth I had the good fortune to get a scholarship to study in Lima, Peru after my junior year in college. I lived with a Peruvian family and I had a wonderful experience. At that time, one out of every two Peruvian babies never lived to see its first birthday. The infant mortality rate was fifty percent. And in most developing countries of the world that was the norm. Today, infant mortality in Peru is about where it is internationally, dramatically lower than it was then. Why? Because international institutions, international experts, people from all over the world have come together, shared information, and have been able to dramatically reduce the level of disease and ultimately death, especially in children and young people across the globe. All of us know about climate change, about how important it is going to be to develop standards to deal with climate change and they cannot be done on an individual basis. This is something that must be done internationally, working through international institutions. International trade, dramatically bigger and more extensive, in which we hope that we can gain the benefit of free and fair trade and do so while at the same time making sure that the people who make these goods are protected. I’ll have more to say on that in a minute. The International Criminal Court, my country unfortunately has still not embraced it, but the idea that there are crimes which are crimes against humanity and should be punished internationally, is a relatively new one historically and yet one hundred and twenty-five countries have joined the International Criminal Court and more I hope will. Many of us are strongly suggesting that this latest dispute involving nearly a half a dozen countries in Asia over who owns what island is nothing that ought to be producing the kind of conflict and anger that it is producing. We have something called the International Court of Justice, that’s the World Court, that’s been created to deal with these kinds of issues. I, for one, believe that we should be urging the countries in Asia to go to the International Court of Justice and ask that very important international body to go to work and resolve these differences. This is nothing that ought to create conflict or armed conflict or the kind of pretty angry discussions taking place today and we have an international institution called the World Court that has been created specifically to deal with these kinds of issues. And, in point of fact, as a result of these and other dramatic events that have been taking place all over the world, we are probably closer to a point in world history where war is being ruled out as a means for settling disputes between and among countries than we have at any time in the history of mankind. I, for one, and I just celebrated my eightieth birthday, think this is probably the most dramatic step that has taken place in my lifetime and I think all of us as citizens of our own countries, as well as citizens of the world, have a solemn obligation to continue to try to create a world in which these kinds of disputes can be settled through international institutions peacefully, without armed conflict, and in a way that makes us a better, a more prosperous, and of course a more peaceful world. So, that’s the backdrop within which we’ve created the Boston Global Forum and within which, with your strong participation and involvement, we hope we can play a very constructive role in moving the world forward. What we’ve decided, as I said earlier, is that we’ll pick an issue and focus on that for a twelve month period. And our planning group here in Boston has decided that that issue this year will be the issue of occupational safety and health in the workplace all over the globe. Now, why have we picked that? First, because, as all of you know, it’s a very serious problem and secondly, because we’re all part of it. Those of us who buy these goods, those who make them, those who sell them, those who process them, those who market them; we’re all part of this problem. None of us can or should think that somehow we can escape responsibility for this. Secondly, as all of us know, tragically, especially but not exclusively in Bangladesh, we have had terrible and tragic results in some of those factories. I know of no one on this planet that thinks that that’s acceptable. Now, on the one hand, we don’t want to punish Bangladesh or other countries so much so that they are badly hurt economically. On the other hand, I personally, and I think an increasing number of people across the globe, think that that kind of conduct cannot be tolerated and we’re not, as consumers, prepared to buy goods and engage in an economy in which the people that are making these things that we buy and we need and that we want are not protected against the kind of thing that has caused now hundreds and hundreds of deaths, not just in Bangladesh, but elsewhere. There are, as I think many of you know, two major private sector initiatives that are underway which have been initiated by industry groups. Certainly all of us hope that they will be successful but, I must say, and this is my opinion not necessarily that of my colleagues, I find it very difficult to believe that we’re going to be able to deal with this problem effectively unless we internationalize it. And we have an example in Cambodia, where, faced with similar problems, working with the International Labor Organization we now have, in that country, internationally developed standards and inspection and enforcement. This seems to have gone a long way toward, on the one hand, protecting workers and at the same time ensuring that they will receive reasonably decent pay for the work that they do. So, that’s one model that I hope we’re going to take more than a quick look at, that we’re going to explore intensively to see whether or not, conceivably, it has international application. Certainly, we hope that the two agreements now that are being implemented in Bangladesh will be helpful. And my hat is off to the people that have worked hard to try to put those together, but I must say I’m a skeptic. If we want a world in which we not only can buy goods that are reasonably priced and of good quality and at the same time help a lot of people in many countries that are quite poor to develop better and more prosperous lives working in those industries, in my view, the case for internationalizing both the standards and enforcement is very strong. We shall see. In the meantime, obviously, I think all of us want to be very supportive of what is currently going on. But, it’s not just Bangladesh, it’s everywhere. Even here in the United States, although our occupational safety and health standards are much tougher, much more effectively enforced than they were certainly forty, or fifty, or a hundred years ago. Nobody can relax under these circumstances. Working people are entitled to a decent and safe workplace and I think all of us feel that no matter where we come from, who we are, and to what extent we are involved in the manufacturing process as well as the consuming process, and all of us are in one way or another. So, what do we hope we can achieve through the Boston Global Forum, first, in focusing on this important issue and then going on in subsequent years to picking other issues of importance that this approach to problem solving, to discussion, to international collaboration and ultimately I hope to recommendations which have an impact, can achieve? Well, we’re going to encourage lots of consultation and that’s obviously already underway. We want to encourage as many of you as possible to participate in this process, to be part of our conferences, our lectures, the talks that people will be giving online and to come back to us with feedback, with questions, with suggestions, to make this a very collaborative kind of effort. We hope to have a series of online conferences, the first of which we’ve already held and I know some of you were very much a part of that, bringing together the best minds and experience from around the globe. We want to invite key issues and key figures who have been actively involved in these issues, to participate, to debate, and to share their ideas. And, of course, with the miracle of information technology, we can do that at minimal cost, inviting all of you to come to these conferences in a way that doesn’t require you to travel, to spend a lot of money, and yet to participate fully and actively in these discussions and in our development of recommendations for change. Our first conference, as many of you know, was on the eighteenth of November, it involved about one hundred and twenty participants including: members of the United States Congress, at least three assistant secretaries at the cabinet level here in the U.S., representatives of the International Labor Organization, of business organizations that have put these agreements together, legal aid lawyers from Bangladesh who participated actively and very constructively, academic and legal experts, and many others. It was fully covered by the press. I, for one, thought it was a wonderful discussion. It was about a two hour conference, a very good start, and we expect to have our second online conference on the subject of international occupational safety and health standards in February, and we hope that all of you will participate. So, that, in a few minutes, is a summary of what the Boston Global Forum is, what we hope to achieve, and how we hope we can involve many of you, and a growing number of you, in our discussions, in our deliberations, and ultimately in the preparation of recommendations which we can then take to decision makers all over the world. So, we’re delighted that you’re listening today and participating. I know lots of you have questions, and the second half of this lecture of mine is going involve an exchange between us, which I look forward to. Many of you have backgrounds in this field, have actively participated in it, have lots and lots of good ideas and we’re delighted to have you with us. Thanks for being a part of this. We look forward to having you attend and participate in our second online conference. Now, we’re going to go to questions and I’ll do the best I can to see if I can field them and exchange some ideas with you. Thanks very much. Tuan Nguyen: We have a lot of questions. First of all, we would like to you so much for sending your questions and comments and congratulations to the Boston Global Forum and for Michael Dukakis. Special thank you to Steve Elkins, Farea Ali Múlimi, Rohit Wonchoo, Thomas Peterson, Lynette Yiadom-Boakye. They are five Global Thinkers 2013 named by Foreign Policy. So we congratulate and thank you. Now, Jonas will manage the questions together with you with Governor Michael Dukakis. Jonas Brunschwig: Thank you Tuan. Thank you Governor for taking the time to do this with us and happy belated birthday. We’ve received questions from all over the world in a wide ranging area of topics, going from your work with the Boston Global Forum to the actual issue that we’re focusing on, and then ranging more into your broader career and the way you see the world today. So, we’ll divide them into those groups. So, to begin with the questions related to the Boston Global Forum, the question that goes to the source: what motivated you to Chair the Boston Global Forum? Gov. Dukakis: Well, apart from the fact that a good friend asked me to do it. As I said in my talk, I’ve been on this planet now for eighty years. I was a child of the Great Depression during the ‘30s, was nine, ten, eleven, twelve during World War II, then it was Korea, then it was Vietnam and more recently, we’ve had other international conflicts. What is remarkable about my lifetime and what has happened here is, first, the creation of international institutions designed to try to resolve differences without armed conflict and, secondly, this remarkable information technology which now makes it possible for people all over the world to communicate in a way that was never possible before. And I’m an inveterate optimist. As I’ve often said you can’t be in politics if you’re a pessimist. If you don’t think that good people working together can make a difference, you’re in the wrong business. I am much encouraged, particularly recently, at what I’m beginning to see happen around the world. I was not a supporter of American intervention in Iraq or, for that matter, Afghanistan except in a very limited way, nor was I a supporter of intervention in Syria, international intervention or intervention of various kinds in Syria. I thought it was doomed to failure and I’m sorry to say that seems to be what has happened. But what is emerging out of all of this, and we Greeks have an old saying that “when things happen you’re supposed to learn from them”, is a growing awareness led, I’m proud to say, among others, by my former Lieutenant Governor who is now the United States Secretary of State John Kerry, that using these international institutions, sitting down together, exchanging information, even if we have ideological differences, is much more likely to lead to peaceful resolution of things than armed conflict, and Iran is a very good example of that. Now, Iran is not easy. I don’t know of too many people who don’t think that if the United States had not overthrown the democratically elected government of Iran in 1953 we wouldn’t be dealing with this kind of a problem, but we did. It was a terrible mistake at the time and here we are. But the fact that, thanks in part to the Iranian people in the election of a new president, and obviously their strong feelings that they want a more normal and a more peaceful situation, we’re making significant progress and I hope, and I expect, that it will continue. And that’s just one example. Now, how are we doing it? Through international institutions with international collaboration. I mentioned this current conflict over islands in Asia. Frankly, I think anything like armed conflict over who owns what are largely useless islands is simply unjustified. But, how do we resolve this? It seems to me, we’ve got to go to the international institution which is designed to do that, which happens to be the International Court of Justice. The more of this we can do the better. I talked about international public health, about climate change itself which has to be resolved internationally. There is no way any of us individually can solve this problem unless there are international standards internationally enforced. So, I see a world that, slowly but surely, is beginning to understand that we can resolve these differences peacefully, but we have to sit down together, we have to discuss them together. I hope that the Boston Global Forum can be a very constructive part of that process. That’s my hope, that’s our hope and our expectation, and we’re going to work hard, with the help of all of you out there, to try to make that kind of constructive addition to this emerging consensus, I hope, that we can solve these problems and we don’t have to do so by killing each other. Jonas Brunschwig: How would you assess the Boston Global Forum’s first year? Gov. Dukakis: Well, we’re just underway. I loved the conference in November. I’ve been part of a lot of conferences and part of the problem is just the logistics. How do you get people to a place, house them, feed them, and so on and so forth? Here we had an opportunity to have every bit as valuable a meeting with none of that, and what we discovered was that its much easier to get really very good people to participate if they can do it from their desks, their offices, or wherever they happen to be. I thought it was two absolutely fascinating hours. We not only got press coverage but I think involved people in this discussion, people who I had heard about but I had never met or seen in action. My hope is that we can build on that more and more with increasing numbers of folks who will work with us and do so through the miracle of the kind of information technology that now makes it possible for us to do that. So, I’m very pleased. Jonas Brunschwig: Where do you see the Boston Global Forum in five years? Gov. Dukakis: Well, we shall see. A lot of this depends on the quality of our work, depends on the numbers of people, I hope in the thousands, that will begin to participate with us, in our ability to provide this kind of international forum in a kind of unprecedented way. This isn’t Davos, but it can be every bit as constructive, if not more so, in a way which engages people everywhere and as I say, does so at minimal costs. So, I’m really quite excited. Of course, this issue of occupational safety and health standards is a test for us: can we engage people, can we involve them, and can we come up with a set of recommendations that’s going to be successful and helpful. Gov. Dukakis: The advocacy community, lots of people who are part of this. Jonas Brunschwig: How far up the food chain do you think we can bring this? Gov. Dukakis: We can, I think, engage, as I say, literally thousands of people in these discussions. Obviously, it’s going to be our responsibility to make sure that we manage this process in a way that keeps people actively involved. As somebody who has attended literally hundreds and hundreds of conferences, I was kind of blown away by the ease with which we were able to get lots and lots of people who have been deeply and actively involved in this at our conference, online, and produce what I thought was a wonderful discussion, very interesting ideas, and I hope a start on the way toward a very successful forum process. Jonas Brunschwig: Do you see our efforts take root within the Government for some concrete initiatives? Gov. Dukakis: Well, we certainly had people at the conference who have important roles in government, not just in the United States, although we had some very good ones, but all over the world. So, the answer is yes. I see no reason why we can’t have presidents and prime ministers and cabinet ministers and so forth deeply and actively involved in this and I hope we can do that. Jonas Brunschwig: I guess it doesn’t make sense not to ask you how optimistic you are about the outcome of this process. Gov. Dukakis: Remember, I remember the world eighty years ago and I remember those terrible wars and some more recently, which seem to me were really quite unnecessary and not helpful in any way. When I think back then and I think now and I see what’s available to us in a way that makes it possible for all of us to sit down together, to reason together, to communicate together, I’m very optimistic. I’m very optimistic. I wish, frankly, I was starting my public career all over again, but I’ve got children and grandchildren who can pick that up along with lots and lots of students that I teach these days. I can tell you, we’re producing wonderful young people in this country and around the globe. They’re very idealistic, they feel strongly about the world that they’re going to be leading and I’m very excited. I’m very excited. Jonas Brunschwig: We sat down last week with Professor Patterson at the Kennedy School and we talked about his book Informing the News and he brought up a fact that is fairly relevant to the issue of worker safety. He mentioned that issues like worker safety make headlines or make news only when a catastrophe like Rana Plaza happens and there are hardly any labor reporters in newsrooms nowadays. How do you think this could be changed to bring these issues, that are relevant, to people? Gov. Dukakis: Well, its interesting. Even as the conventional media has covered these kinds of issues less and less, I remember when the New York Times had a full-time and very highly respected labor reporter who did nothing but report on these kinds of issues, even under those circumstances, the social media is kind of picking up on this and providing another kind of an alternative medium for us. But, obviously, it’s our responsibility here at the Boston Global Forum and elsewhere to make sure that the media covers things. I think we had five or six really excellent press people from some of the major newspaper media outlets in on our first conference and I hope we can expand that. So, to a very great extent, we’ve got a responsibility to make sure that they’re covering our conferences, they’re covering these various things that we’re doing. If we do meaningful work and we come up with meaningful kinds of recommendations for change, believe me, they will cover them. Sadly, of course, disasters tend to get more coverage. When I talked about these unbelievable gains in international public health, you don’t read about that very much. We don’t give ourselves credit for that kind of thing. Jonas Brunschwig: You read a little bit when the MDGs are up in 2015. Gov. Dukakis: That’s correct. But our job is to make sure that the press does cover these kinds of things. Jonas Brunschwig: So, if we were able to bring this issue of occupational health and safety, to make it relevant to more average citizens, do you think that they’d be able, with the information, to then take it to the next level and be more conscious in their consumption? Because it seems like the sweatshops and the factories often produce for the cheaper brands, like Walmart and Gap for example, and they cater mostly to the lower income people in the developed countries who tend to be the ones that don’t really have a choice financially. Gov. Dukakis: Well, they may not have a choice, but in some ways, because they are not affluent, because they are struggling to support themselves and their families, I have found that they are even more sensitive to these issues than people of wealth. And the cost of doing it right is really minimal. I remember, I teach at UCLA in Los Angeles in the wintertime, and I remember the AFL-CIO here in the United States decided to have their mid-winter meetings in Los Angeles. John Sweeney was the head of the AFL-CIO at the time. And, the major goal of the AFL-CIO at that time was organizing strawberry workers in California. We eat a lot of strawberries in the United States. I eat a lot strawberries, I like strawberries. Sweeney told me, and I have not reason to doubt him, that if the strawberry growers agreed to every single demand of labor in these contracts for strawberry pickers and workers, including good benefits, health care, increased wages, all this kind of thing and by the way these issues are back again as we see income inequality growing all over the world, including in affluent countries, he said to me that it would raise the price of a box of strawberries by six cents. I think I know the American people, and I’m sure the same is true elsewhere, well enough to know that they would be more than happy to pay one extra nickel to make sure that the people that are picking these strawberries are getting a decent wage, decent benefits, and protection from environmental issues out in the field in terms of pesticides and these kinds of things. What are we talking about? Five or six cents. I think that’s the sentiment generally. I think paying a nickel so that these folks can have a decent life. And we’re confronting that issue right now, in terms of raising minimum wages and those kinds of things. I think there would be very strong support. Of course, it means we’ve got to inform consumers as to what’s really going on out there and I think most people are appalled at what has happened, not just in Bangladesh, but in other countries. And, by the way, a hundred years ago we were going through exactly this same set of issues here in the United States. The famous Shirtwaist Fires in New York City and the garment shops there which were terrible and triggered an enormous reaction in the form standards here. So, we’ve seen this, we’ve been through it and I don’t think there’s any question consumers would respond positively. Jonas Brunschwig: Do you think, overall, this might be a good sign even though these terrible things are happening, since they have happened before? It sort of seems like it could be on the path to greater development you have to pass different stages and this is just one of those stages. Gov. Dukakis: Memories are short. We’ve gone a long way, for example in this country, toward dealing with serious occupational safety and health problems and a much tougher OSHA, as we call it, and enforcement and these kinds of things. But, now production has shifted to other parts of the world and they’re going exactly the same thing. Given our experience and the experience of other more advanced, industrialized countries there’s no reason under the sun why we shouldn’t seek to act, and act effectively, to deal with these problems. Jonas Brunschwig: I guess we can move on to questions related to the world as you see it today, since we have a lot of questions that fall under that category. Someone suggested that we start with: what do you think is the most pressing issue that the United States is facing today? Gov. Dukakis: Domestically, I think its income inequality. This is a very prosperous country. We’ve done well, we’ve gone through a very difficult and serious economic recession, which is largely our fault. We forgot some lessons. You’ve got to regulate financial institutions. You can’t let them do what they want to do without regulation. You’ve seen what’s happened. We can’t go back to what I call Herbert Hoover economics. Austerity will not get you out of a depression or a recession and I don’t know why we have to re-lean that lesson over and over again. But, I think gradually people are beginning to understand, both here and in Europe, that austerity doesn’t revive an economy. It just doesn’t and it wont and it’s a dumb strategy. So, making sure that all Americans have an opportunity to work, to work at a decent wage with good benefits, in my opinion, is something of the most important priority but of course that requires an excellent educational system, it requires environmental protection obviously, including collaboration with the world to do something about climate change, which is real, investing in our infrastructure which we are not doing anywhere near as effectively as we might, and quite frankly, significantly reducing military expenditures in a world which is no longer a Cold War world and really has to deal with international problems, including terrorism, in a way that is very different from the way we were dealing with and spending during the Cold War, which is now blessedly over. So those are our problems here. Internationally, I think the United States, first, cannot be the world’s sheriff. We can’t be the world’s police chief. It’s clear we can’t do that, which means that we must be engaged in a collaborative process using international institutions to resolve these international disputes. And I want to see my country taking a leadership position in doing that, whether it happens to be in the South China Sea or in the Middle East or elsewhere. And I think we can do that. Jonas Brunschwig: What do you think is the most pressing issue on a global scale? Gov. Dukakis: World peace and how we not only create the conditions for world peace but then make it possible for people all over the globe to have the kinds of lives that we want for ourselves and our families. And I think we can do that. Jonas Brunschwig: You’ve mentioned it a few times before, if you want to dive a little bit more into what your thoughts are on climate change and the role that the U.S. has taken up to today and the role you’d like the U.S. to take. Gov. Dukakis: Climate change is real. I don’t think there’s any question about it. People say “Well, we’re not sure.” Look, if there’s a possibility of climate change, not a probability, which I think is clear, but a possibility, we’ve got to go to work on this. I mean, the future of the planet is being threatened here by our activities. There’s no question that we know how to dramatically reduce the amount of carbon that’s going into the atmosphere, the question is whether we have the will to do so and can we do so again in a way that is collaborative and involves the entire world. We’ve got a job to do, because we produce a lot of the stuff, but so does China, so do a lot of other places. This will not happen without international agreement, international standards, international enforcement and I want the United States of America to be leading that effort. Jonas Brunschwig: Would you say that the biggest obstacle towards achieving these goals within the United States might be special interests? Gov. Dukakis: Not so much special interests. We have a conservative community which is skeptical, isn’t quite sure that there’s a scientific basis to this. I respect their skepticism but I think the evidence is now overwhelming. This is not just a figment of somebody’s imagination that may happen fifty years from now, its happening right now. If my fellow countrymen don’t believe it they ought to go out to Glacier National Park, one of our great national parks. Ten years from now there won’t be any glaciers left. So, this is not a fairytale and I think we have to emphasize that. But, it’s our role as an important international leader that is most important here because we’ve got to use our prestige and our influence to move the international community as rapidly as possible toward international standards and enforcement. And I’m not sure the United States, I mean our Congress is still divided on this issue. So, our job, it seems to me, is to persuade people, liberals and conservatives, republicans and democrats alike that this is a real problem, that this is not a partisan issue, and that we have got to get going on it. Jonas Brunschwig: You’ve mentioned that income inequality is what you see as the number one domestic issue that the U.S. needs to face. There are actually two researchers here at MIT, Erik Brynjolfsson and Andrew McAfee who run the Initiative on the Digital Economy, that have just recently published a book Race Against the Machine in which they argue that technological innovation is advancing at a faster pace than labor can keep up with causing many people to lose their jobs to technology which is sort of one of the many factors contributing to greater inequality. What suggestions do you have to tackle these issues? Gov. Dukakis: I haven’t read the book, so I don’t want to be unfair, but I’ve been hearing this all my lifetime. That labor saving technology, devices, equipment, procedures inevitably will result in a world in which people wont have jobs and it’s never happened yet. Why? Because even as technology is dramatically reducing labor costs in some areas, its creating new economic opportunities in other areas. These days, we’re applying new technology to the manufacturing process. My hope and expectation is that the United States will get back into the manufacturing game by using these new technologies to bring manufacturing back to the United States because, in fact, we have these new technologies. But, I don’t see the slightest evidence that new technology permanently destroys people’s economic opportunity. Here again, I think history teaches that us that you have got to take advantage of these opportunities, you have got to use this new technology. I don’t think the fact that we still aren’t at full employment in the United States has much to do with the destruction of jobs as a result of new technology. It’s got to do with rather ill advised public policies, in my judgment. We should be investing heavily in this country’s infrastructure these days, and we’re not. It’s those kinds of things that will get us back to full employment, and we’re getting there. But, the idea that technology permanently destroys economic opportunity, I think, frankly, is belied by history. Jonas Brunschwig: This question comes from a scholar at Harvard who would like to know what you think about city leadership, both on the national as well as the international level? Given that it seems that the world is going through a very intense urbanization phase, with many urban legal frameworks that are not adequately prepared for or funded to deal with externalities such as disasters caused by climate change, the use of resources, safety, or community building. Gov. Dukakis: Well, I don’t think there’s any mystery about what it takes. It certainly requires resources. There are many countries that don’t have the resources that you’d like to have, but I think we know how to deal with urban problems. Here in the United States, clearly, cities are coming back in a very interesting way and in a much better and a much more exciting way. In other developing countries, as we know, we’ve got cities that are huge, cities that have a lot of poverty, but we know how to deal with these problems. Here again, I think, maybe this is a subject down the road for the Boston Global Forum. How do we deal with urbanization? How do we make sure that our cities are healthy and provide a good quality of life for their people? But, again, I don’t think there’s any mystery about what it takes, the question is are we prepared to do so. Jonas Brunschwig: I want to go back, again, to something that came up with Professor Patterson’s talk. You’ve been advocating for collaboration on an international level quite heavily throughout your whole career and especially today. Professor Patterson mentioned, on the other side, that there is an increased polarization within politics in the United States, which makes it very, very hard for Congress to collaborate. This Congress is on track to go down as one of the worst, if not the worst, Congress in modern history. How do you see this issue being addressed? Gov. Dukakis: Well, I have enormous respect for Tom, needless to say, but when people say to me “This is terrible” and “we’ve never seen it so bad” I say to them “Have you seen the movie Lincoln?” That was bad. That was a country that was tearing itself apart and that almost ceased to be a unified country. I lived through the McCarthy period: that was bad. I lived through the whole Vietnam conflict and what it was doing to the United States, tearing this country apart. Talk about a poisonous atmosphere, even within families, where people wouldn’t talk to each other because the kids were opposed to the war and the parents were supportive and so on. We go through these periods from time to time. And yet, we’re finally on the verge of a budget agreement, which seems to be quite reasonable and which I think is the result of three or four very tough years, which have brought us to a point where people are finally willing to sit down, be reasonable, and collaborate, even as the American economy is improving. So, we’ll move through this. We’ve had a big battle, I don’t understand why, over whether or not working Americans and their families should have decent, affordable health care. But that’s being resolved and it’s going to happen. Sometimes these are tough issues and sometimes they can be very confrontational, but I think we’re working our way through this. And, compared to some of the experiences I’ve had, and this is not something to not pay attention to, but this is a set of problems that are a lot easier to resolve, quite frankly, than some of the things I’ve seen in my lifetime. Here again, I’m not happy with what’s been happening but slowly but surely we’re getting there and I think that’s true of other countries as well. Jonas Brunschwig: So, do you think the two party system is still the best way forward? Gov. Dukakis: Well, it’s the one we have, it’s the one that, for some reason, seems to be the best way to move forward. By the way, this is very interesting as well: when I was a college student people were bemoaning the fact that the major political parties in the United States didn’t stand for anything because we had liberal Republicans and conservative Republicans and we had liberal Democrats and conservative Democrats. In fact, we had conservative Democrats, mostly in the South, who were also racist Democrats. People said “This is crazy”. You go into the voting booth and you don’t know whether to vote “D” or “R” because what do they stand for? What we need is a realignment of the parties. And there was a fellow Scott Schneider, I think he was at Wesleyan University, who was the principle advocate of so-called Scott Schneider thesis, it was time for the major parties in the United States to become ideologically more cohesive so that when voters went into the voting booth to vote they knew what they were getting: if you voted Democratic you get one thing, you voted Republican you get something else. Well, we’ve done that and now everyone is concerned about polarization. This is a country, on the whole, that’s pretty moderate and sooner or later people are going to be punished if they don’t do the job in a way that builds national consensus and I think we’re beginning to see that and I’m not surprised, but it has taken a while. Jonas Brunschwig: Going down this economic road, how do you see the new economic movement advocating for employee stock ownership plans, co-operatives institutions, credit unions, with the example of the Bank of North Dakota, public utility companies? Gov. Dukakis: I’m all for this. I think the more consumers than average people that can be involved actively in the economy in a constructive way, the better. I like co-ops, I like employee stock ownership plans, I like all of this kind of thing and I think the more of that we can do, the better. Now, I don’t know that that will become the dominant model in a place like the United States, or for that matter, elsewhere, but I think all of these things are positives and I think they ought to be encouraged. Jonas Brunschwig: What are your thoughts on the Occupy Movement? This is a question that somebody strongly pushed. Gov. Dukakis: It didn’t last very long but I think it brought the issue of income equality up there where it belonged and it’s going to stay there. We’re going to have a flock of minimum wage laws being passed in this country because people don’t think you can live on eight dollars and twenty-five cents an hour, and you can’t. It’s interesting, in the national polls a majority of Republicans, as well as Democrats, support increases in the minimum wage. And, if you ask the American people whether or not working Americans and their families ought to have decent, affordable health care ninety-three percent say yes. Now, I know there’s all kinds of controversy about the Affordable Care Act and that kind of thing, but when you ask people that question: should working Americans and their families, and by the way, it is overwhelmingly working Americans and their families that don’t have health insurance in this country. If you’re on public assistance you get health care. But if you ask the American people that question: should working Americans and their families have decent, affordable health care they’re overwhelmingly for it. And, by the way, not having decent, affordable health care adds to income inequalities. So, I think there’s actually a very broad consensus behind these things and I think you’re going to see a lot of movement in the United States on this subject. And, by the way, income inequality is growing elsewhere in the world, and I think you’re going to see similar kinds of efforts. Jonas Brunschwig: Well, it looks like we got a live feedback from a former student of yours, Joshua Cooper, who woke up at 4:30 AM from Hawaii to participate, sending his regards. Moving on. Going back to the topic of national security, you have advocated for defense spending cuts. MIT will host a talk tonight on the Snowden affair. What are your thoughts on the NSA and its implications for the freedom of press, freedom of speech? How do you see Edward Snowden and Chelsea Manning? Gov. Dukakis: Well, I’m very concerned obviously [inaudible] condone in an illegal act, but every once and a while somebody engages in an illegal act and suddenly tells us things that we don’t know, and in this case, a lot of things we didn’t know. I don’t know too many Americans, liberals and conservatives alike, who aren’t very concerned about this kind of intrusion into our private lives. I noticed that General Alexander was pleading that we not limit the authority of the National Security Agency. I’m sorry, I’m with two senators who on most issues are poles apart, Pat Leahy and Rand Paul, both of whom are appalled by what’s going on and what limits, and I agree with them. And nobody is going to tell me that we can’t deal effectively with international terrorism without intercepting virtually every message. The other day I was asked whether or not, at a particular press event, would I be willing to talk off the record. I said “These days, nobody is off the record. We’re all being snooped on by the NSA.” So, I think we’ve got work to do. As I say, nobody is going to tell me we can’t protect the security of this country and it’s people and at the same time make sure that our Bill of Rights and our freedoms are not protected. Of course, that’s always the clash. When you get into trouble, you get into war and so forth, there are severe restrictions on the grounds that we’ve got to have them because it affects our national security. So, I’m strongly supportive of efforts, by Republicans and Democrats alike in Washington, to try and deal with this. And, as I say, nobody is going to convince me that this kind of incredible government snooping is essential to our national security. You start chipping away at our individual liberties around here and that is going to have an effect on our national security. Jonas Brunschwig: On to more frivolous topics, and speculative. Who do you think will be the presidential nominees for the Republican and Democratic parties? Gov. Dukakis: I haven’t the slightest idea. I think, on the Democratic side obviously, if she runs, Hillary Clinton will be very popular. But as any of us know who have run for political office, what the polls say today have nothing to do with what may happen in two years. On the Republican side, you’ve got a party that is severely split. I’m sure they’ll have a flock of candidates and I wouldn’t even begin to speculate on who that might be. Right now, I think we’ve got some work to do over the course of the next couple of years and we ought to be focusing on that. Jonas Brunschwig: Who do you think was the greatest American president in history? And, who do you think was the most underrated president in U.S. history? Gov. Dukakis: Well, certainly, in my lifetime, Franklin Roosevelt was an extraordinary figure. I was just a kid but I remember he had a rare combination of leadership and charisma which made it possible for us to dig ourselves out of the worst economic crisis in history and really to transform American society in many ways. We’re still fighting these battles, as we know. On the other hand, in a personal sense, Jack Kennedy was the president that had the greatest impact on me because he had this rare ability to reach out to young people and to inspire us, and I was one of thousands of young Americans who, inspired by Kennedy’s example, decided to get into politics, to run for office, and to try to exercise what we could in the way of public leadership. Obviously, if you go back in history, a Washington, a Lincoln, these were really extraordinary figures. Lincoln, in particular, who probably had as much to do with saving the Union as anybody. But, FDR was really a giant in the White House and really had a profound effect on this country and its future, certainly in my lifetime. Jonas Brunschwig: You just mentioned Kennedy also having a great influence, on top, along with Kennedy, who were the biggest influences on you that led you and motivated you to pursue a political career? Gov. Dukakis: Well, lots of people. All of us have our own history. I had an extraordinary pair of parents, both of whom were Greek immigrants, both of whom came over here and did extraordinary things and were an inspiration for me, obviously, in a variety of ways that I’m not sure I can explain. By the time I was seven, or eight, or nine had me interested in politics and public affairs, amazingly, even at that age. I had a basketball coach in high school who was the first adult who ever said to me, “You ought to run for public office.” Nobody had ever said that to me before and had a great influence on me and on my wife, who was in his homeroom as a freshman when I was a senior in high school. The best teacher I ever had, who taught me French at Brookline High School, left me a thousand dollars in her will when she died with the hope that I would run for the presidency of the United States. Can you imagine that? And a wonderful, wonderful woman. I love languages and she has a lot to do with it. So, there are all these influences. In a political sense though, Kennedy had a rare ability to connect with us young people. And I don’t mean in a personal sense. I don’t think I met him more than twice. But he had this rare ability to reach out to the young people in this country and say “Hey, look, this is important and you should get involved.” He was proud to be a politician. He never apologized for it. He never apologized for being a public servant and it rubbed off on a lot of us. So, it’s a collection of these. I happened to marry a beautiful woman who was as deeply interested in politics and public life as I was, and that’s pretty important. If you have a spouse that doesn’t understand what you’re doing and isn’t supportive and isn’t participating actively that can be pretty discouraging. So, it’s a combination of things, really. And I meet people every day who continue to have an enormous impact on what I do. That’s the great fun and excitement of being in public life, that you’re meeting people every day. Through the Boston Global Forum, meeting people, in many cases, I’ve never met before who will be participating with us actively and making my life richer and I hope making the lives of millions of people. Jonas Brunschwig: I guess we’re nearing our conclusion and we have a few more questions. You’ve recently turned eighty, a lot of time to acquire a fair amount of wisdom. Is there anything that you know today that you wish you had known? Gov. Dukakis: Oh yeah. Probably the most important thing is that, if you’re going to have a real impact on the world, on your community, on your country, on the quality of life of people, you’ve got to be a consensus builder. That doesn’t mean that you can’t hold strong views on things. I do. I feel very strongly about a lot of these things. But, one of the lessons I learned, somewhat painfully, when I was defeated for public office was that if you’re in a position of political responsibility you can have an enormous influence in bringing people together, sitting folks down, turning yourself into a good listener. I was not a very good listener when I started. I was a pretty good talker but not a good listener. By virtue of the position you hold you can bring people together and work with them to try to achieve consensus, which is basically what we’re doing here with the Boston Global Forum in our first year. Seeing if we can develop international consensus around this issue of occupational safety and health. I would have liked to have been able to do that better back when I was in my twenties and it took me about twenty years to figure it out. These days I think I’m a much better consensus builder and what one finds is that you can accomplish a great deal if you can bring people together, reason together, and come to some agreement. We’re seeing that now on the international stage. Jonas Brunschwig: Well, it looks like we’re running out of time. We still have several questions, if you’re willing to go forward a little bit. Gov. Dukakis: If we have the time, we’ll do it. Tuan Nguyen: I think we will post online and Mike can continue to write or something like that because one hour is up. Gov. Dukakis: We’ve got a meeting of our planning group and that’s important so that we can chart our future. But if you have questions, just shoot them to us online and I’ll do the best I can to respond. I hope that as we wrap up this session that we can involve more and more and more of you in the work of the Boston Global Forum, invite your active participation, and your ideas and your suggestions and really come up with a strong set of recommendations for dealing with this particular question of decent, basic occupational health and safety standards in the workplace all over the world. Thanks for being part of this and we look forward to working with you in the future.